"We were very pleased with Team Wisdom’s superior service, excellent marketing plan, and were impressed with their professionalism and excellent communication skills. Maintained high energy level and pursued the successful closing of the sale.”"
"I felt Team Wisdom was very professional and serious about selling our home. We tried two times prior to listing with Team Wisdom, and the house sat for 6 months, both times with few showings. Our home sold in five days with Team Wisdom and had more showings in five days than we had in six months previous times."" "If Team Wisdom were a student of mine at my college, they would stay in my memory as one of the best and receive a grade of A+ for the sale of my mother’s home. They were consistently professional, courteous, and motivated! They gave me the greatest gifts of all: kindness and peace of mind."" 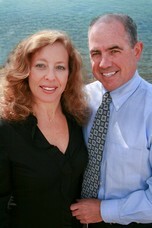 "Bob and Lisa Wisdom are true professionals in real estate. I wished to sell a property while living in another state. They showed complete knowledge of the market, were most responsive to my concerns, kept me well informed on showings and responses to showings. Their negotion skills were flawless. I would definitely call upon their talents for any further real estate transations." "Bob was our realtor when we sold our home last year. He kept us well-informed throughout the entire process. Bob is a person of integrity who is an experienced professional. If we had a question he answered promptly, accurately and clearly. He guided us through the sale efficiently. Bob knows the market and the community. When we asked for recommendations, he referred us to an excellent real estate attorney and a great moving company. We strongly recommend Team Wisdom!" "I have being working with Bob and Lisa Wisdom since 1989. Lisa help me buy my 1st home in 1989. Bob and Lisa help me sell my 1st home an buy my 2nd home in 2001. In 2011 and 2012 Paul Merlak as part of the team Wisdom help me buy 2 investment properties. It has being a great experience working with Team Wisdom, they have always being there to answer my questions and to walk me through all the steps to buy the right properties. Great assistance and great confidence"
"I have used Team Wisdom for several real estate transactions and have always received excellent representation. I would highly recommend them to anyone buying or selling a home." "My husband and I used Bob Wisdom to buy our current home in 2012. We have also used him multiple times to screen and obtain renters for a townhouse we own. Bob is incredibly knowledgable about the local market and has a great relationships with other agents that makes negotiations easier." "As Real Estate professionals, Lisa and Bob Wisdom are exceptional in everything they do. Not only did they list and sell our home, but many other friends have also utilized Lisa and Bob's expertise in the home buying/selling business and, like us, have been very satisfied with the results! Hard-working, fair, honest and award winning professional individuals"
"Bob Wisdom helped me in the purchase of my new home and everything went very smoothly. Since I bought it before I had sold my existing home, he then listed that home and I was fortunate that it sold in approximately 4 weeks! Bob had referred me to a real estate lawyer who guided me through both sales, so I was very grateful for that as well. I would not hesitate to recommend Team Wisdom to friends and/or family for their real estate needs. "I bought and sold two homes in the last couple of years and the Wisdom team has helped me with both transactions. They are very professional and offered great marketing options for selling my home. It was a pleasure working with them." "My family moved out of Elgin and we chose the Wisdom team to be our selling agents because they have extensive knowledge about the local market. We personally worked with Bob and found him to be very proactive in selling our home. He also listened to our concerns and in the end we all won. I was also pleasantly surprised that the numbers were extremely accurate from the seller's estimated expense sheet. This is very important and would be the number one reason I would recommend this team. If you want no nonsense go with Bob and if you are very clear in what you are expecting he will push hard to make it happen if it's feasible." "Bob & Lisa Wisdom were wonderful to work with. Very knowledgeable about the surrounding area listings. Sold our house quick in a slow market. I highly recommend them and would definitely use them again to buy or sell real estate."